As the desire of most of the Pakistani students has increased to study in abroad countries in order to get higher education from well-reputed universities and afterward on completion get a great job ahead to settle the life and career. So for this one have to apply for abroad visa being a student who is not native of European country so he/she must apply for a visa from Pakistan and meet all the requirements which are needed at the time of applying for a visa. Address Street 6, Ramna 5 Diplomatic Enclave I PO Box 1144 Islamabad Pakistan. Students who are coming from international countries must apply for a student visa from office before the arrival and proof of previous studies should be required also. Once the student enters Spain, foreign students must apply for an authorization to stay during the specified time, at the Foreign Office or Police Station. Students are supposed to apply for the visa at Local Foreign Office or Police Station. All documents for entry and stay in Spain are in order, including the visa to undertake or extend studies. The student has been regularly accepted in any private/public educational or scientific center to undertake/extend studies or undertake non-lucrative jobs in research or educational center. The study plan implies attending for no less than 3 months, including the approved studies, research or educational itinerary. Students must prove and guarantee that they have the financial means to live, support their studies, their stay and return to their country, as well as, if necessary, that of their relatives. Foreign students cannot carry out any profitable activity, but it will be allowed if it does not limit the studying aim. A student visa is valid up to its time given when the time expires so it is supposed to be renewed. To apply for a student visa the following requirements are necessary. A valid visa is required which is valid for the period of the course. Two recent pictures, passport size pictures (white background) glued to the application forms. Passport valid for a minimum of six months and at least two empty pages. Permit to return to the United States of America in the form of: a resident card, or a student/work visa that is stamped on the passport and is valid for a period of three months beyond the expected length of stay in the Schengen area, or the period of validity of the visa, whichever is longer. (N/A TO US CITIZEN). Driver License and School I.D. with current address. Original official certificate of admission addressed to this Consulate, in Spanish, issued in Spain, verifying enrollment as a full-time student in an official university or school in Spain. This letter must mention that you will be eligible for a credit towards your Bachelor's Degree or other degree and indicate: name of the program, duration (starting date and ending of the program), school's address, the name and phone number of the person to contact at the school in Spain and hours of study per week (20 at least). Information about the study program. Proof of health insurance coverage during your stay in Spain, for urgent medical expenses and repatriation due to accident or sudden illness. Minimum coverage's $50,000 with no deductible (confirmation of coverage). If you go with an international program, present a letter from the study-abroad program assuming full financial responsibility for tuition, room, and board for the student during his/her stay in Spain. Notarized letter from parents assuming full financial responsibility for the student during the entire stay in Spain. Attach a copy of the parent's ID, bank statement and birth certificate of the student. Proof of having received financial aid or scholarship covering expenses for tuition, room, board, and personal expenses during the stay in Spain. Notarized invitation issued in Spain from a Spanish national or a Spanish legal permanent resident in Spain. Letter from the study abroad program specifying the address where the student will be staying. Local Health Certificate with letterhead, stamp, and signature of the Doctor translated into Spanish. The first list includes smallpox, poliomyelitis by wild poliovirus, human influenza caused by a new sub-type of the virus and the severe acute respiratory syndrome (SARS). The second list includes cholera, pneumonic plague, yellow fever, viral hemorrhagic fevers (e.g. : Ebola, Lassa, Marburg), West Nile Virus and other illnesses of special importance nationally or regionally (e.g. : Dengue Fever, Rift Valley Fever, and meningococcal disease). "This health certificate verifies that Mr/Mrs does not suffer from any illnesses that could cause serious repercussions to public health according to the specifications of the international sanitary regulation of 2005." Original certificate of good conduct (police clearance) issued by the US Department of Justice - Federal Bureau of Investigation (FBI). Required only for applicant 18 years and older. The visa fee for studying in Spain is BDT 7500. 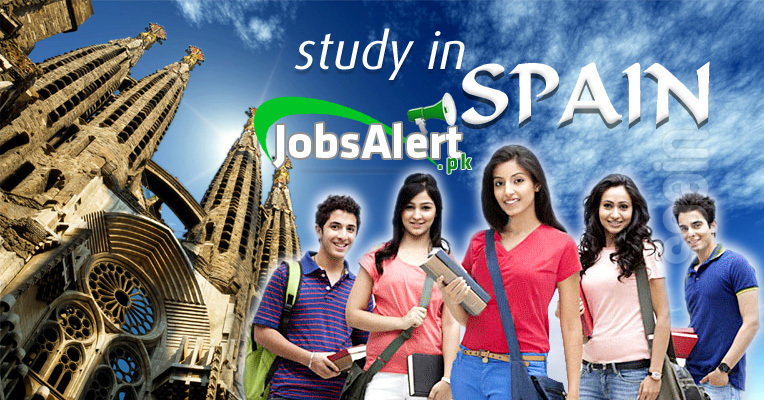 So this is the whole detail about applying for studying visa for Spain from Pakistan.